NASA has a new web portal highlighting the research funded by the agency, and promises to put all its peer-reviewed studies online in less than a year. The research will be available on PubSpace, an archive maintained by the U.S. Department of Health & Human Services. There is no charge to register, and the data can be downloaded and analyzed, NASA officials said. "Making our research data easier to access will greatly magnify the impact of our research," NASA Chief Scientist Ellen Stofan said in a statement. "As scientists and engineers, we work by building upon a foundation laid by others." The new portal was put online following a 2013 request from the White House Office of Science and Technology Policy, which directed science-funding agencies to make it easier to access their results, NASA officials said. 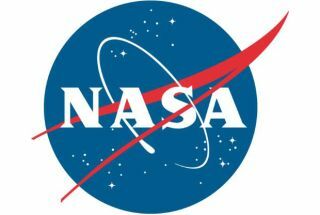 NASA emphasized that, while the new portal provides easier "one-stop shopping" for public access, the agency has always prioritized access to its research results. NASA is also involved in discussions with the scientific community, academic institutions, publishers and other federal agencies to track its success and make changes as required, agency officials said. "At NASA, we are celebrating this opportunity to extend access to our extensive portfolio of scientific and technical publications," NASA Deputy Administrator Dava Newman said in the same statement. "Through open access and innovation, we invite the global community to join us in exploring Earth, air and space." More information on the initiative is available at http://www.nasa.gov/open/researchaccess. Follow Elizabeth Howell @howellspace, or Space.com @Spacedotcom. We're also on Facebookand Google+. Originally published on Space.com.